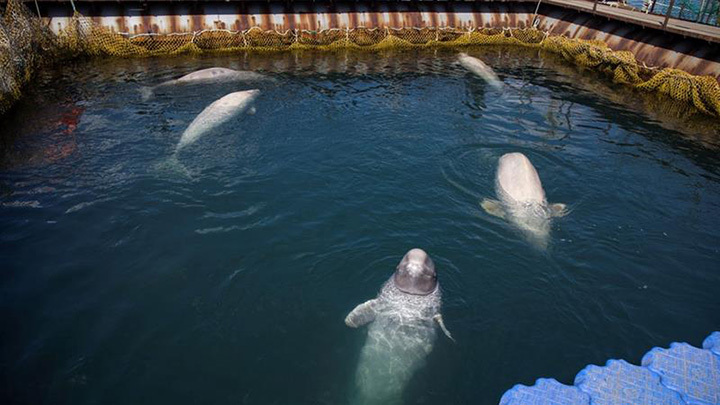 The Russian government will free nearly 100 whales held in tiny enclosures in the country's far east for almost a year, according to officials. "An official decision has been taken to release all the animals into the wild," said Oleg Kozhemyako, the governor of the Primorsky region. "Scientists from Cousteau's team and Russian scientists will decide when and which animals to release," Kozhemyako added. "I know it's a lot of work, but I have no doubt that we are going to succeed," Cousteau said.